Compass International's 500+ page publication provides “current” detailed information on construction cost specific to 101 countries worldwide. The 2019 Front – End / Conceptual Estimating Yearbook is an indispensable tool for all construction professionals involved with the challenges of conceptual estimating and budgeting. This “breakthrough” complete estimating resource and guide provides up to date and easy to use estimating data that you will use on a frequent basis. 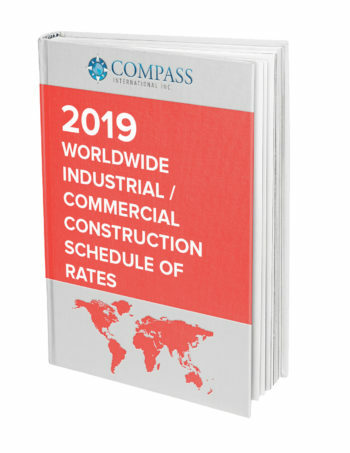 The 2019 Worldwide Industrial / Commercial Construction Schedule of Rates Yearbook. This publication includes estimating data on the USA and 120+ countries / 700 cities. Compass International’s Pipelines Mining & Offshore Cost Data Yearbook provides reliable / accurate early estimates of International Process Plants, Pipelines & Offshore related projects. This wide-ranging estimating database will be an invaluable tool for all construction professionals; it provides the reader with actual historical benchmarks of hard to find cost & material data. Contains current cost data on Pharma / Bio, R&D Labs, Micro Chip & Food Facilities – Also has data on Class A type buildings such as Airports, Hotels & Offices. The 2019 International Procurement Yearbook is an “innovative” step forward for individuals involved with international construction purchasing, procurement and contracting. 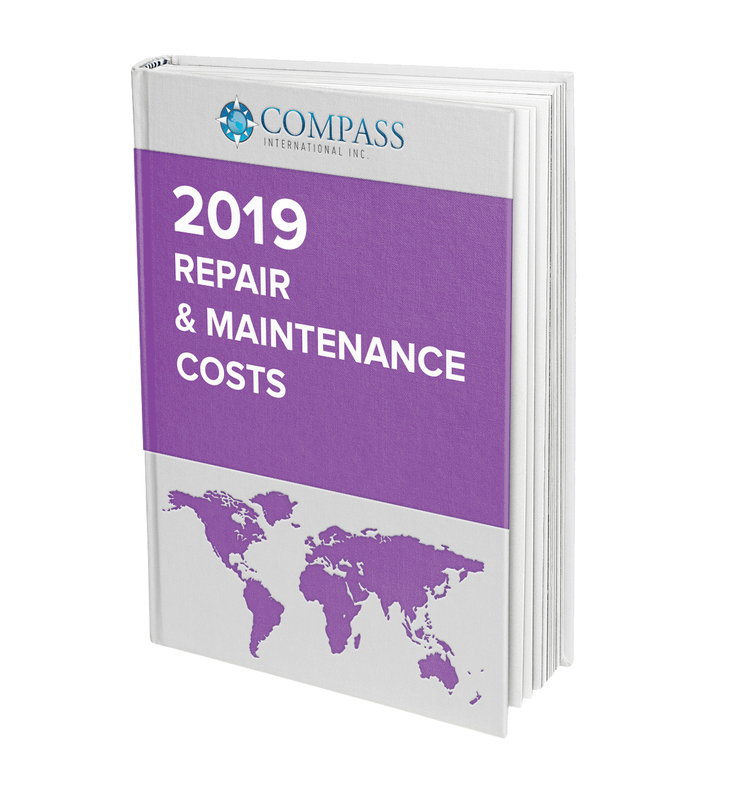 Compass International’s 550+ page Global Industrial / Commercial Repair & Maintenance Construction Yearbook addresses construction costs for all facets of repairing & maintaining your industrial / commercial facility.